Submitted by Guildragon on September 14, 2009 - 3:57pm. 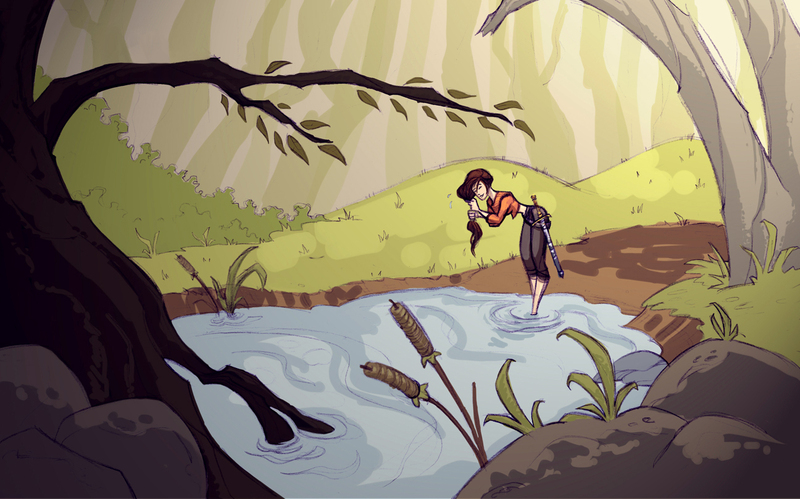 I look at the scene and wonder if the young adventurer is that sure of herself, in the woods, that she can relax long enough to take sustenance from the spring waters surrounding her. I mean, she is relaxed, not battle-ready, and there she is wringing the water from her hair. Interesting piece!